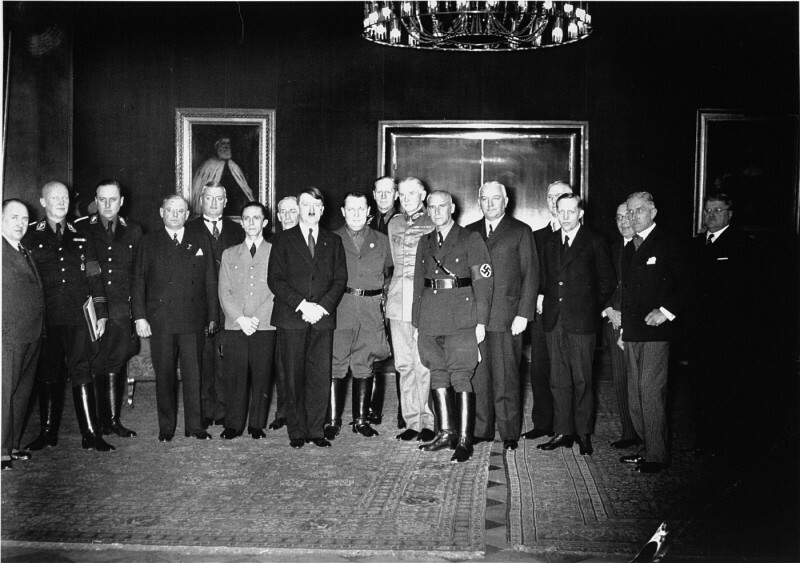 Adolf Hitler poses with his cabinet shortly after assuming power as chancellor of Germany. Hitler is flanked by Joseph Goebbels (left) and Hermann Göring (right). Berlin, Germany, 1933.